Animation is a medium that frequently gets labeled as children’s films despite the expert craftsmanship and design that goes to each release. The limitations of live action and believability can be forgotten in a world of exaggerated features and cartoonish designs, and the beauty of a story can shine through. And slowly but surely, a studio that understands this completely is gaining ground on the dominance of the major studios like PIxar and Disney. Laika continues their streak of hits with their newest release, Missing Link. Tired of living a solitary life in the Pacific Northwest, Mr Link (Zach Galifianakis), who is 8 feet tall and covered in fur, recruits fearless explorer Sir Lionel Frost (Hugh Jackman) to guide him on a journey to find his long-lost relatives in the fabled valley of Shangri-La. Along with adventurer Adelina Fortnight (Zoe Saldana), the trio encounters their fair share of peril as they travel to the far reaches of the world. Through it all, they learn that sometimes one can find a family in the places one least expects. Outside of a slight misstep here or there, Hugh Jackman is generally a good piece to add to your film. And as Laika steps away from the children protagonists that have led their first four releases, Jackman feels like as safe a bet as you can get to portray the confident explorer Lionel Frost. Then partner him up with Zach Galifianakis as the comedic half of the adventuring duo, and you’ve got the first part of charming characters, the voice work, down. The other half of the memorable character coin is the writing. Though the story isn’t terribly original, the characters that populate it and the messages it delivers feels genuine, retaining the Laika charm that is slowly allowing the smaller animation studio to gain creative ground on the behemoth Pixar. When a film ends, and you feel the need to spend more time with these characters as they just travel the globe, you know there is something special and interesting on display. However, despite all of this praise to character and story, the crown jewel of any Laika film is the animation. Each new release from the studio feels like a step up, a constant improvement, even little details, that make their films stand out. The same excellent production design and style are present, but elevated as the story travels to nearly every corner of the globe and brings a new gorgeous setting along with it. While the visual inventiveness of Kubo and the Two String and its fantasy setting are not here this time, it would not be shocking to see Missing Link grab another Visual Effects nomination when the time comes. 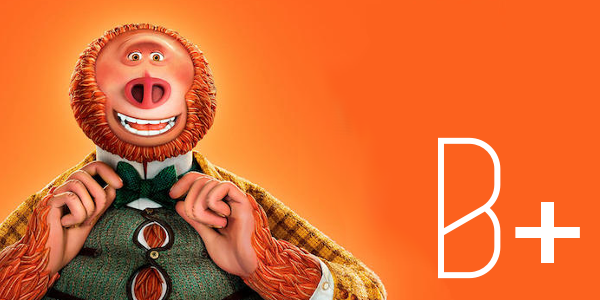 Missing Link may not be the best offering from Laika, but it showcases the studios continued drive to push the medium forward. The technical achievements of the film are remarkably beautiful, even awe inspiring to those who know the effort that it takes. The story and characters are as charming as they come and the messages some through loud and clear even though the story beats are far from unique. It’s impossible to know for sure where Laika goes next, but everyone needs to see where it is when they do.